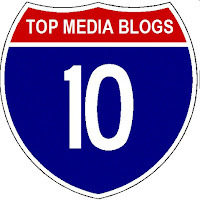 Blogs.Com, a guide assembled by humans for humans, asked me to name the 10 blogs I turn to most often for information and inspiration about how technology is changing the media business. Buzzmachine – A ready and reliable source of quick-draw critiques of MSM foibles. Author Jeff Jarvis also would want to you know that he wrote the book about Google. C3 Blog – Even bigger news than a man biting a dog is when the CEO of a newspaper company writes a blog. Beyond the marvel of the thing itself, you will get a straightforward accounting from Chuck Peters of the amazingly disruptive changes he is making at the Cedar Rapids (IA) Gazette. Content Bridges – An insider’s insider, former old and new media editor Ken Doctor dishes secrets about newspapers that they didn’t even know they had. Greenslade Blog – Global depth, breadth and insight from Mr. Roy Greenslade, the pre-eminent journalism maven in the United Kingdom. Media Café – Jeff Mignon and Nancy Wang deliver strategic analysis across the media and around the world, thanks to their unparalleled network of clients and colleagues. Monday Note – Crisp and forward-looking insight from Frédéric Filloux in Paris, a top product strategist for Schibsted Publishing Co., and Jean-Louis Gassée, a Silicon Valley veteran. Neiman Journalism Lab – Deep and reasoned analysis from Martin Langeveld, Tim Windsor and others. A rarity in the world of blogging, they do their homework before they opine. Must be that Harvard mojo. Press Think – “Mindcaster” Jay Rosen, a journalism professor at NYU, is one of the most original and unsentimental thinkers about how news is transitioning from the legacy media to – well, uh, who knows? He also writes even longer posts than I do, which is saying something. Recovering Journalist – Far from recovered as a journalist, Mark Potts blends pithy reporting, exceptional writing and smart analysis in his unblinking take on the media scene. He does it all without wearing socks, too. Romenesko – Quite simply, this is the Bible of journalism news and media gossip. It’s penned by the indefatigable Jim Romenesko, whose energy level may have something to do with his fascination with a certain coffee company. Thanks Alan, we appreciate it. Great list, did not have two of these on my list-- would love to know the others that just missed out on the cut. Wow, thanks! Coming from you, that's exceedingly high praise. I'll do my best to live up to it. Pity that it comes on a day when my contribution to The Lab features a completely made-up snarky quote from Ronald Reagan! Jarvis? Ugh. Ok. Well, I guess we all have to eat our spinach. Even if all the nutrients have been boiled out of it by a cook who only knows one recipe. You should, of course, add your blog to this list. You could easily replace a few on the list.